It is an inexpensive book (or may be free with a purchase), and I urge everyone to get a copy. 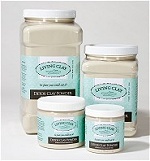 I get my clay supplies (and that book) from a retail company in California, called Living Clay. When I have had severe intestinal issues, and my doctors neither identified the cause nor provided a cure of the symptoms, using clay was one of the tools I used to heal myself. Clay has been used, internally and externally, throughout the world for centuries by humans, animals, birds, and insects for its curative value. Only Western Civilization seems to have forgotten the benefits. I’m here to remind you of things your grandparents probably knew and used. All clay originates from volcanic ash; but there are seven different “family groups.” Not all clays are “created equal;” so, if you are planning to eat or drink it for health benefits, you need to be sure you have chosen the best and purest form. I just go to the web site above, so I don’t have to think about it!. However, at Whole Foods http://www.wholefoodsmarket.com/, I recently discovered Redmond Clay ™ and found it to be equally wonderful as an ingestible (edible) clay. Redmond Clay is a brand and a registered trademark of a montmorillonite / bentonite clay mined near the town of Redmond, Utah. Redmond Clay is produced and sold in a powder form as a medicinal clay, natural remedy or alternative medicine. 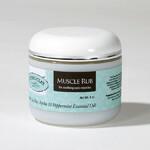 Clay is in so many of our products: for example, Kaopectate, cosmetics, toothpaste, paints, medicines, and more. So, chances are you’re already using it. You may even use it as a facial mask for cleansing or as a poultice to put onto bruises to reduce swelling and inflammation. But, there are internal cleansing properties to it, which allow the body to heal itself. “Absorption is the process of drawing substances into the clay’s internal molecular structure – similar to a sponge absorbing water. Electrical ionic charge. Our bodies are attacked by things which have a positive charge, and clay has a negative charge. You know the saying, “Opposites Attract.” Well, that’s what happens when the clay attracts those problem children and takes them right out of our bodies. Those problem children include bacteria, viruses, fungi, diseases, toxins, metals, synthetic chemicals, and more. Not all clay is suitable for drinking, and the book gives you questions to ask on page 5. It refers to a number of anecdotes about various conditions in which clay was used to stimulate healing, including a Biblical reference to when Jesus used clay to heal a blind man; but it is not a religious book. I have not read them all yet; but it sounds very promising, so here is their link: http://empoweredsustenance.com/bentonite-clay-uses/. Empowered Sustenance™ describes clay this way. It tells you that it is contraindicated (not to be used without first consulting your physician) if you are taking medications which contain metals, since clay helps remove metals from the body. The list is too, too long, so get the book. But, here are some examples (and the book specifies the kind and length of recommended treatments). This book also has recipes for food which includes the special clay, as well as for drinks. I hope you will get the book, get the product, and live healthy lives happily ever after!